“I’m going to pray daily that this will never happen again,” Sister Miriam said. She’s the Sister at St. Mary’s, Sewanee who makes rosaries “with prayer,” and I’m sure she’ll keep her promise to pray daily that the atrocities of the Holocaust of World War II won’t ever occur again. We were standing in the hot July sun, looking at the Children’s Holocaust Memorial, a German rail car that was used to take victims to concentration and death camps during WWII. The car was transported from Germany to Whitwell, TN Middle School for a memorial that was part of the Paper Clip Project launched in 1998 by Principal Linda Hooper. The old rail car houses 11 million paper clips (and other documents related to the Holocaust), one for each victim of the Holocaust. Eighteen beautiful butterflies inlaid with stained glass decorate the ground beside the car and signify hope for new life in the world –and a dedication to a life of compassion and understanding for other nations and cultures in the world. I was glad to be standing in the park with four Sisters and a friend as the scene is profoundly moving. It was good to be among those who pray for the betterment of life and peace in the world. Although steps have not been put back in place because the railroad car has just been moved to the site of the new state-of-the-art Whitwell Middle School, two of the Sisters climbed up into the car to read the moving quotes by theologians and philosophers placed on the walls. While we stood there, Principal Hooper came out to bring us brochures about this project that she launched to teach students the value of tolerating different cultures. In 1998, she sent David Smith, 8th grade History teacher and Assistant Principal to a teaching course in Chattanooga, and he was joined by Language Arts teacher Sandra Roberts in teaching a group of students about the Holocaust. “We use a word to describe the initiation and involvement in this project,” Principal Hooper said. “It’s a Yiddish word, ‘beshert,’ which means ‘it was meant to be.’ Indeed, no one would guess that a project of such range and depth was a usual kind of class project at a small rural school in the Cumberland Valley of middle Tennessee. The study about toleration of a different culture began in earnest when a student suggested that the group at Whitwell Middle School collect a paper clip for each victim of the Holocaust. The paper clip was a Norwegian symbol used by Europeans who expressed solidarity with the suffering of the Jews by wearing a paper clip during the Holocaust. In 1998, the students set up a web page asking for help in collecting the clips and encouraged people to share their feelings about the Holocaust. Today, they have collected 30,000 letters and documents, have become the subject of a movie entitled “Paper Clips,” collected over 30 million people clips from 50 U.S. states and 50 countries of the world, and have been visited by many survivors of the Holocaust. When the rail car is put back in place, it will include a suitcase sent from a middle school in Germany with tags which are notes of apology to Anne Frank. The principal of the German middle school is the father of a young German composer who wrote a piece of music called “Whitwell bells” when the Children’s Holocaust Memorial was dedicated. Two White House correspondents for German newspapers, Peter Schroeder and Dagmar Schroeder Hildebrand, purchased a rail car (using their own and other donations from German citizens) used to transport prisoners during WWII that they found in Poland, and shipped it to Whitwell for the Paper Clip Project. The small rail car, 773 meters in length, 2.40 meters in height, and 3.00 meters in width, transported 75 to 150 Jews per trip to the camps, and we were shocked when we looked inside at the cramped space that held them – it was a “standing room only” experience within the “cattle car.” The Whitwell Middle School Memorial signifies to the school, to the community of Whitwell, and to the world that there will always be a need for perseverance, empathy, tolerance, and understanding for other cultures. Coincidentally, Principal Hooper knew the name of the book that contained the poem I mentioned in the preceding blog. It’s entitled I NEVER SAW ANOTHER BUTTERFLY. She emphasized that the car is no longer a symbol of death but one of new life. If you haven’t seen “Paper Clips,” you can rent it from any video store. I’m fortunate to live only 45 minutes away from this memorial that the Whitwell Middle School Holocaust group says should remind us we change the world, one class at a time, and can really make a difference wherever we are. For those of you who read my blogs regularly, I’ll be on vacation in the Smokies for a week. I deeply appreciate the passion and talent of most of the authors who present their work at the Sewanee Writers Conference this year, but I’m also a bit troubled about the tone and content of a few of the short stories I’ve heard at public sessions. Now, I’ve written my share of “bleeding heart and rue” in poetry during my 73 years, so I don’t exclude myself from that which often seems to exude from some contemporary writers—the phenomenon called “profound angst.” However, two succeeding days, I’ve returned from readings feeling like a monstrous cloud hovered over my head – war, unsuccessful affairs of the heart, death, disease – I know they’re part of the human condition, but I was very glad when two poets, who seem to be able to look back and be accepting and even amused by ruptures of life and love, got up to read. I have a close friend, a retired Distinguished Professor of English and writer, who says she once thought that profound angst was a mark of sophistication, but she believes the old “everything is too bad to be true” attitude doesn’t enrich her life. Today, in retirement, this friend studies music, sings in a choir, writes, works out, cooks, reads omnivorously, perfects her French, and says she’s grateful for a devoted beau who escorts her to functions that feed her soul. She doesn’t have time for angst. And the beautiful prose in her blogs reflects that absence of angst. I have a box of unpublished manuscripts, many of which are so terrible in their recognition that “the end” is always imminent, the writings would probably qualify me for a diagnosis of depression. What is this “oh sorrowful me” song writers sing, at the expense of readers who want a little joy and resolution – or even inspiration – when they read a novel, a short story, or a poem? The expression, “provide a point of identification with universal suffering” has certainly become hackneyed enough when we narrate the sufferings of this world. Well, readers can identify and empathize, but at some place in the denouement of a story, they need a little redemption – hope – faith that the real world is not just a place where we’re wounded and keep sticking our hands into the wounds so often that we prevent them from scarring over…we need to help the readers move on toward their engagement with joy. Things are bad, yes, and Lucretius did write: “Hath God designed the world, it would not be/a world so frail and faulty as we see,” but we also experience many moments of real rapture…peace…and contentment during our lifetimes. And that doesn’t mean we’ve just become simple-minded or senile when we enjoy those moments of being. For me, some of the feelings expressed in the stories I heard emphasize that man is alienated from what is good and holy, but I want to stand up and shout that the world is yet a place filled with innumerable wonders and with men whose good is more than gold, as C. S. Lewis described his mentor George McDonald. I think that readers yearn for a bit of “fantastical reading,” such as that of C. S. Lewis and George McDonald, and his Inklings friends Tolkien and Charles Williams, to name a few who carry us beyond our feelings of alienation and give us hope in both the magical realms of the world and the mystery of the beyond. This morning as I sat before the altar at St. Mary’s I noted the orange and yellow butterflies, wings outspread, embroidered on the altar hangings. They reminded me of a poem contained in a book of writings by children of the Holocaust – a beautiful, throat-catching piece that described a butterfly which flitted by and delighted a young Jewish girl before her ultimate entry into the ovens. And she wrote about her engagement with the beautiful insect. It was all joy and all faith, a hymn of the fruits of the Spirit in which the child gave readers the idea that before she passed out of her short life and in the face of the cruel existence in the camps, God “blissed” her. Yes, he blessed her but he also blissed her. I wish I could relocate the poem. I’d post it on my desk and send out copies to all my writing friends, exhorting them to come out of their profound angst and into the light, to allow readers to be “surprised by joy,” as C. S. Lewis wrote about his conversion from being an avowed atheist to becoming a person who believed in a Higher Being. One of the last social gatherings I attended before I left New Iberia, Louisiana, was a luncheon meeting of The New Iberia Fortnightly Literary Club, New Iberia’s oldest literary club. We met at Lagniappe Too’s Café on Main Street, where New Iberians love to meet and eat the wonderful dishes prepared by Elaine Landry, one of Louisiana’s superb chefs. Elaine cooks; and Al, her architect and artist husband, greets the many visitors, from hungry locals to international diners, who search for genuine Cajun cuisine. Dianne Landry, one of my fellow Fortnightly members, sat next to me at this last-meeting-of-the-year luncheon and began discussing a book she was reading about Joseph Jefferson, a famous actor who spent many years in retreat at nearby Jefferson Island, Louisiana. Joe Jefferson is remembered for his role as “Rip Van Winkle” on stages throughout the U.S. and abroad. I told Dianne about a mini biography I wrote about Jefferson in a book entitled LIVE OAK GARDENS. Actually, I had considered writing a children’s book about Jefferson before I discovered that someone had preceded me. To me, the fascinating aspect of Joe Jefferson’s life is that this Philadelphia-born actor chose to own a home near New Iberia in a remote place then called Orange Island, a land mass pushed up by a dome of salt, forming an island that rose above the marshlands surrounding it. The island was so named because of the grove of orange trees Jefferson first spied when he visited there in the late 1860’s. He eventually bought the island in 1870 for the sum of $28,000 at a time when this exotic place was inaccessible by road, and Jefferson traveled to his retreat from Algiers (near New Orleans) to the end of the railroad line, then boarded a sternwheeler to the island. Thirty six hundred acres of oaks, pecan trees, and an orange grove covered the island. William Ballou, a reporter for “Cosmopolitan magazine,” writing of his visit to the island in 1889, described the retreat as an “immense grove of magnolias and live oaks.” He mentioned the Osage shrubs guarding the grounds from cattle and an arched corridor that led from the mansion to Lake Peigneur through a mesh of hanging vines, mistletoe, and other vegetation. Ballou wrote: “At the foot of the hill, toward the east, is a jungle, where the cypress reigns, together with the alligator which makes the night weird if not hideous with its unearthly baying” (If you’ve ever heard an alligator baying, you’ll understand Ballou’s description!). Jefferson also owned cattle that grazed on a prairie nearby, and they yielded him a profit of $10,000 annually. Lake Peigneur was feeding ground for ducks, geese, snipe, and plover. Wildlife on the island included deer, turkey buzzards, boat-tailed grackles, and blackbirds, which Jefferson used as subjects for his paintings. Jefferson used the island as a place of respite from his theatrical work. At the island, he entertained writers, actors, artists, even President Grover Cleveland in 1892. In his leisure time he painted on the third level of his mansion beneath a fourth floor cupola that rose from the center of his home. By far, the grandest room in the house was the dining room with its Cathedral Gothic design, carved ceiling, and Moorish designs. A skylight in the mansion allowed Jefferson abundant light to paint landscapes, sheep, buzzards, and bayous, using his fingers, rag pieces, blotting paper, and feathers to achieve special effects. He said that the greatest landscapes were works of the imagination rather than transcripts of realities. The present owner of Live Oak Gardens is working on another book about the gardens, but I understand he often hands out complimentary copies of my book about Live Oak Gardens and Joseph Jefferson. If you’re interested in this Acadiana landmark and the man who first developed it, you might write Live Oak Gardens Ltd., 10106 Jefferson Island Rd., New Iberia, Louisiana 70560 and ask for a copy. During the first month I lived in Ahwaz, Iran, back in the 70’s, I experienced cultural shock, and exposure to small things that reminded me of my Louisiana home gave me great pleasure. I can remember shopping in a grocery that resembled a store in the U.S. with its plate glass windows and fluorescent lighting, rather than the dark, open stalls of the bazaar, and coming upon a display of Tabasco sauce. I was so glad to see this product from home that I exclaimed aloud “Hey la bas,” excited about the sight of those small boxes of hot pepper sauce that add zest to meals all over the world. Certainly, I hadn’t expected to see them displayed in a Middle Eastern grocery. Yesterday morning when I sat on the front stoop surveying the trees in my yard, I discovered a small tree whose leaves are the origin of a seasoning that sometimes flavors Louisiana gumbos – a sassafras tree! Jambalaya, crawfish pie, file’ gumbo, I thought, wondering if Tennessee cooks know about the use of sassafras for seasoning gumbos. About thirty years ago, I made a field trip with my botanist friend Vickie to Convent, Louisiana where we searched for sassafras trees and a person who might still be making file’, despite FDA warnings that safrole, one of the aromatic oils that gives file’ its unique flavor, can cause liver tumors in rats. We found a man named Neil Simon of Convent, Louisiana who had a small grove of sassafras from which he gathered limbs that he put in his drying barn to keep for a few weeks before stripping the leaves to grind into file’ powder. Simon used an electric grinder to make this powder, but his wife’s grandfather had pile’d (pee layed) leaves with a pilon (pee-lawn), a cypress pestle used for pounding, many years before Simon began his enterprise. At the time we befriended Simon, he made enough file’ to fill four fifty-pound lard cans a year and distributed this seasoning to Louisiana grocery stores. He was licensed by the Louisiana Health and Human Resources Administration. Simon’s grove was approximately a quarter mile from the east Mississippi River bank, but he had planted a few trees in his yard to preserve the stock. File’ isn’t the only by-product of sassafras, of course. Some cooks harvest the root and use the bark for a refreshing drink. Others drink the tea to alleviate symptoms of pneumonia, bronchitis, catarrh, mumps, fevers, kidney disease, and rheumatism. Regardless of the possible danger reported from ingesting parts of the sassafras tree, people continue to use file’ for gumbos (sparingly) and sassafras for their tea in those picturesque areas of the South where food and drink, naturally derived from plants and the water, are rich cultural traditions. Brown flour and oil for roux on very low fire. When roux is golden brown, add onions, celery. Add warm water. Bring to a boil, lower heat, and simmer about one hour. Add shrimp, lobster, oysters, onion tops and parsley. Cook about three minutes longer. In gumbo bowl, put ¼ teaspoon gumbo file’. Add hot gumbo and serve over rice. Irene put the file’ in the serving bowls as this seasoning makes the gumbo stringy and too thick if added in the pot (after stove is turned off) especially when gumbo is reheated with file’ already added. Bon appétit! I share a cottage here at Sewanee with a good friend who changes shoes three or four times a day and is wont to leave them any place “the shoe falls.” None of this footwear approaches handsomeness and more often than not, the shoes have what I call “the uglies.” Alongside sofas or coffee tables, near the back door of a crowded kitchen, on the front door stoop, in the garage – but never, never in the closet – these shoes lie, curled up and ready, not for wear, but for tripping me. There’s the pair of heavy white clunkers coveted by joggers, the blue plastic objects with breathing holes called Crocks, the hairy brown sandals that look like a monk’s Sunday shoes, and, sometimes, a pair of black leather, round-toed babies that would have been the envy of British walkers back in the 40’s. None of the foot coverings would be stolen if left on the front porch where they often reside overnight. My friend’s favorite shoes are Birkenstock sandals that she won’t part with because she paid $80 for them back in 1973. These heavy-soled shoes are the ones that lie in wait in the hall, and reach out and trip me when I’m trekking to the bathroom at 1 a.m. They certainly have a life of their own because I’ve thrown them out numerous times and they stealthily reappear in the dark after I’ve gone to bed. After friends examined the condition of my Swiss loafers, they accused me of being cheap, and one acquaintance suggested that I shop in a discount store if I was so bent on economizing. However, she warned me about the procedure for trying on shoes in such a shoe center. ‘Seems that you must sit down on the floor, remove your old footwear, and place these shoes under one leg because they may be taken away by the sales clerk and put on the shelf for bargain shoppers. Then, you pick up a pair of inexpensive shoes that are taped together (you must not untape during the trying-on session). Always bring a friend with you to sit on the old shoes after you put on the strung-togethers because you must shuffle along gracefully (?) in a Cajun two-step so that you won’t break the bond between two shoes that obviously belong together forever and ever. If you don’t trip, they must’ve been made for you and you alone. The first shoes in the world, according to research I did on this subject after embarrassing myself with the worn-out loafers, were pieces of hide or braided grass held to the foot by leather cords. I would’ve been dubbed low in financial status if citizens of Greece, Rome, or Egypt had seen my loafers. During those times, shoes showed the rank or wealth of the wearer. I would’ve been lost on several more counts, especially toe shape. The pointed toe indicated high rank, as did different kinds of decoration, and this does not include a faded red strip on the top of the loafers that I loved. During the 14th century, if you really got carried away with pointed toes, you wore crackowes which had pointed toes so long that a chain had to be used to hold them up so the wearer could walk around. Also, during Queen Mary’s reign in England, duckbill shoes were so wide and, yet, so popular that a law was finally passed limiting the width of the toe to six inches. I could use a pair of chopines – wooden footgear made with an iron ring so that the wearer could lift his/her feet from the mud. (However, this would refute the legend that Cajuns like to get mud between their toes daily). It’s good to be able to walk one block to the Bairnwick Women’s Center here at Sewanee and hear some of the luminaries in the U.S. literary world read from their work during the Sewanee Writers Conference. It’s also a bit intimidating for anyone who writes. Last year, we attended almost every reading and one of the lectures, but this year we’re being somewhat selective, beginning with Jill McCorkle’s reading of one of her wry short stories filled with the pathos of a dysfunctional southern family. Today, we walked down at 4:15 p.m. to hear the poet Greg Williamson who was here last year and who caused me to laugh aloud with his parodies of life, poets, and poetry. When he walked up to the mike, he wore blue jeans and was chewing gum, and I thought “Oh no, he’s going to be one of those “aw shucks kinda’ guys.” But he wasn’t. He was the genuine bemused, casual kind of poet who seemed to be poking fun at a literary world that can be so serious at times. His poetry is heavy on “punning,” and he likes to entertain himself, as well as his audience. By the time he had finished reading a few poems about DNA and babies, I was laughing aloud again. How refreshing, I thought – someone who heeds the admonition of Louis Auchincloss in THE RECTOR OF JUSTIN, “To take one’s self too seriously is, after all, the highest form of conceit.” Greg performed effortlessly without the pretensions of many poets and reminded me of our present Poet Laureate of the U.S., Kay Ryan, who says she tries to avoid being pretentious in the writing of her minimalist poetry. Greg Williamson loves words, has great technical control when he plays with language, and is certainly original. He read a paradelle, a modern poetic form which is reputed to be a parody of another form, the villanelle, created by former Poet Laureate of the U.S., Billy Collins. This form was invented as a hoax but has taken on a life of its own, according to Wikipedia. It’s a very complicated form that I wouldn’t attempt to explain but, then, I don’t pretend to be in Greg’s league. 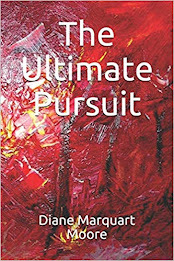 As I said, his writing shows great talent with irony, and he has the ability to catapult even non-poetry readers into the realm of preposterous humor. Tennessee time, often near midnight. of talk that has transpired five minutes or so. so I can call her some time? Before my bishop, Bishop Bruce MacPherson of the Episcopal Diocese of Western Louisiana, left for Lambeth, he sent a generous donation for the work of the Water Purification Project in Haiti which I’ve mentioned on several blogs – a project to develop clean water in a Port Au Prince orphanage. The project is sponsored by three of the Sisters of the Community of St. Mary, Sewanee, and is a service long-needed in the Third World country of Haiti. The thank you I sent to Bishop Bruce was in the form of an Anglican Rosary made, “with prayer” by Sister Miriam of the Community of St. Mary who designs and makes beautiful rosaries. Of Celtic design, with pale green stone insets, the Rosary accompanied the Bishop to Lambeth. I have several rosaries that I left behind in New Iberia, one of which was given to me by David Henton, soon-to-be a brother in the Order of St. Gregory. David gave it to me as a thank you for ministering to his father, Bishop Henton and his mother, Martha, during the last three years of their lives. The rosary, along with Bishop Henton’s Communion kit, was put into my hands when David sorted through old vestments, books, and memorabilia in the Bishop’s study the day after I delivered the funeral homily for this wonderful friend. Bishop Henton’s rosary is strung with black beads, and I have no knowledge about its history, but it couldn’t have pre-dated the 1980’s as the Anglican Rosary is new to the Anglican world of prayer and wasn’t developed until at least the year 1980. The Anglican Rosary has 33 beads after the number of years in Christ’s life and is comprised of four sets of seven beads called weeks. The number seven symbolizes wholeness and the seven days of Creation, the seven days of our week, seven seasons of the Anglican Church year, and the seven sacraments. Additionally, there are four cruciform beads that divide the weeks, and they represent four points of the cross, four seasons of our year, and four compass points. Prayers on the rosary can range from the Jesus Prayer to ancient Celtic prayers or prayers from the Offices for Morning and Evening Prayer in the Book of Common Prayer. A rosary, some Episcopalians exclaim -- why? Well, the rosary isn’t just a device for rote recitations of prayer. The object of using a string of beads is to keep you focused and still while you’re praying and moving the beads – a mental and physical action that produces heightened spirituality. The repetition of prayers (we Anglicans know about those prayers from reading the Book of Common Prayer) helps center us and sustain that focus which brings us into communion with God. How can a meditation matter? a moment seized for Divine goods. and not to be believed. Being able to hear the sounds of wildlife while breakfasting outdoors is one of the perks of retirement and Sewanee living, and sometimes I lament the absence of certain aspects of wildlife that abound in my home state of Louisiana. One of the sounds I miss is that of frogs – bull frogs, tree frogs, even pig and sheep frogs I once learned to identify frogs by the sounds of their croaking voices. Being a webfoot, I’m enamored with the low chuckle of the southern crawfish frog found in crawfish holes that have lost their mud chimneys. It’s a familial thing – this love of frogs and toads. My mother, who was an artist, often painted pictures of deep woods featuring gnomes and huge toads in the foreground. As a child, my daughter Elizabeth spent much of her time when we visited our camp at Toledo Bend, hunting and catching small frogs on the shoreline of the lake there. Her youngest son, Joel, hunts toads in a different environment – the high desert of California. For Joel, I wrote a satirical children’s poem about a giant devil toad that my young friend Ben Blanchard illustrated and which we hope Border Press will publish next year. In 1989, I wrote a satirical short story about a toad for a Creative Writing class at ULL. The toad was a cane toad that produces a toxin called bufotenine which it secretes to ward off predators. When, and if, a person licks the toad, the toxin acts as a hallucinogen. Bufotenine is a controlled substance and is illegal; however, it isn’t illegal to own a cane toad! The toad is a huge brown thing with big glands running down both sides of its body, is the size of a dinner plate, has dry, warty skin, and makes noises like a tractor motor. In the story, an unhappy Florida millionaire orders a cane toad and goes off into la-la land after licking the skin of this reptile, etc. Well, for awhile the toad makes him happy…until he’s arrested, that is. Actually, the Creative Writing professor who co-taught the class handed the story back to me without commenting. Hmmm. By the way, some countries revere the toad. Panama holds an annual toad festival in which each person has his own toad. A toad king is elected, and in the parade, the king wears the toad as a hat. I’m not as enamored with toads as I am with frogs and their songs, and my experience with “frog listening” involves my oldest grandson, Martin. As a child, Martin was also fascinated with frogs. In the evenings, at “first dark,” we’d dress him in black waders that came up to his waist and take him a few blocks away to a swampy, wooded area we called “our swamp” (before someone denuded the property, ran off the wildlife, and is now selling the land for subdivision lots). Martin would wade into the swampy area and stand very still so he wouldn’t disturb the habitat, listening for the strange sounds of various frogs croaking, bleating, grunting, and making “jug-o-rum” noises. to put up a tent. be a Master of Adventure. Rains this week-end brought up from the saturated ground an abundant crop of fat earthworms. This morning the robins that populate the yard here at Sewanee were strutting their stuff and twirling wriggling worms in their mouths like spaghetti on a fork. In that wonderful linen-covered book of birds about which I wrote in a former blog, my mother showed me giant pictures of red birds, blue birds, buntings, robins, wrens, and sparrows. Cardinals and blue birds were her favorite illustrations, and I have two glass replicas of these birds on my desk as a small memoriam to her and her appreciation for the feathered world. Robins are familiar sights on the lawns at Sewanee as they are birds that tolerate habitats that have been altered by humans. Of course, the most-loved quality of Robin Red Breast is its song of “cheer-up, cheer-up,” and it sings that aria upon rising, just as it forages for earthworms early in the day, thus giving rise to the saying about the American work ethic: “the early bird gets the worm.” The evening meal for robins is fruit, and, along with the brazen deer, they have decimated my wild blueberry and blackberry crops. Robins sometimes live to be 14 years old, a record of longevity in its population, and judging from the healthy plumpness of robins on my lawn, I have a flock of retirees foraging for worms at 7 a.m. I have a small bird bath in the backyard and one in the front woods that serve as their watering holes, but, unfortunately, the deer get there first. My brother Paul, who loves nature, will probably shudder when I tell this story about him, but I can remember when he shot robins with a BB gun or slingshot made by my father back in the forties. He hunted on the tree-lined streets of North Baton Rouge, Louisiana, thinking he was getting provisions for the family to have meat for supper. When he brought in a plump robin one morning, my mother had something we in the South call a “hissy fit” and instructed him to take the carcass away. Paul’s perspective on bird life has changed considerably since that time, for I’ve seen pictures of several birdhouses he built in his backyard in northern California – one beneath a Norfolk pine and the other beside a Japanese red maple – and neither bird residence is a captive spot for robins where he can practice his marksmanship. a flurry of feather, rising. A telephone call from Daughter #2 in CA yesterday was one of those alarm calls mothers usually receive in the middle of the night. However, this call came at mid-afternoon and had to do with the world of finance, not one of my best subjects. It seems that Indymac Bank, where she has some savings, had failed on Friday, closing its doors. After investigating the problem, I found that those savings were covered by FDIC insurance. She owns several automobiles, a large comfortable home, her husband has a well paying job, and her family is healthy, but a bank failure without FDIC coverage would have been a great loss to her, and I was sympathetic to such a loss. However, the call troubled me because it conveyed a certain lack of trust and fear on her part that God wouldn’t continue to source her family with all they needed. The conversation brought to mind attitudes toward money I often forget to convey to my offspring –that we should all make some of our resources available for God’s work and in that expansion of self, we feel prosperous. I keep thinking I should call her back and remind her of her prosperity, of how, yes, the nation's economy is a concern for all of us, but she should try to loosen up when she has financial fears -- to come from a feeling of prosperity rather than scarcity. You know, I threatened to publish some excerpts from old sermons I’ve given, and the incident presented me with the opportunity to record a few thoughts from one of those sermons that centered on the widow’s mite. Women without male sponsors in the Mediterranean society were an embarrassment to the ancient world. A widow without an extended family was forced to become a beggar, or in some cases, a prostitute. The avenues for widows to acquire money were limited, and they became one of the first responsibilities of the early church (especially deacons). In the story of the widow’s mite, this woman had gone to the temple and approached thirteen large brass receptacles with trumpet-shaped mouths, open and ready to swallow up the “coin of the realm.” Nine of the receptacles were available for sacrifice and tribute money; four were receptacles for free will offerings. This indigent widow dropped two small copper coins worth a penny into the mouth that accepted free will offerings, and Jesus, sitting nearby, observed the offering of this woman with intense interest. Unlike the righteous men surrounding her (who probably made bets on whether she got the coins through begging or prostitution), Jesus recognized that the widow had made her only resource available for God’s work. We assume that, despite her apparent indigence, this widow felt God had really blessed her. In my opinion, this indigent widow let everything go and let God use her as one of the first models for authentic stewardship. Jo Ann looked at me as if I were advocating throwing pearls to swine, shook her head, but went away to think about her part in the expansion of the universe. A year later, her faith in the concept of giving became manifest in the form of a manuscript entitled MONEY MEDITATIONS FOR WOMEN. It’s one of her best books and covers exercises, resources, anecdotes, and affirmations for creating prosperity. In Jo Ann’s words, it’s really a book about evaluating the connection between money and spirituality… just as the widow did before she dropped her mite in the free will receptacle. All the major spiritual traditions of the world recognize the attributes of altruism and compassion which often flow out of our poverty. The Dali Lami has written a book entitled THE GOOD HEART in which he tells us that all the aspects of our lives – our religious practice, our spiritual growth, our basic survival are impossible without other people. And when we think along such lines, he advocates we find sufficient ground to feel connected with others and to feel, like the good widow, the need to repay their kindnesses! We have to ask ourselves such questions as: When will we stop feeling inferior to those who are more gifted than we are? When will we stop being envious of those who get more of everything including attention and admiration? When will we stop envying others’ prosperity? The first beatitude is about poverty. Louis Evely says that the ancient Hebrews thought they had divined who God was, that he was not only all powerful, he was rich and that he’d give them good health, personal wealth, and male heirs. He’d fill the larders of those who were on that first level of Mediterranean society – the very wealthy. As Evely said in THAT MAN IS YOU, the Hebrews were firmly convinced that God would always be the Dependable Distributor who would crown their system quite nicely with prosperity. And then along came Christ who sat on a hillside and spoke the beatitude: Fortunate are the poor. He exhorted his listeners to completely empty themselves, to divest themselves of all their things, their society, their comfortable habits, goods – everything – because when they emptied themselves and committed their lives to him, sought him above everything, he’d work wonders in their lives and their spirits would be enriched beyond measure. It appears that another telephone call to Daughter #2 is imminent. She doesn’t read my blogs! Breakfast on the front porch isn’t just a cup of coffee, a bowl of oatmeal and blueberries, and a small plate of eggs – it’s also a bird-watching event. This morning two male cardinals, ruffling their fiery plumage, fought in the small wood before us. Intensely territorial, they squabbled noisily and finally, without any refereeing from us, flew up on the rooftop, then soared away, not liking the human witnesses to their two-round, no KO fight. Sometimes, the male cardinal comes to the window where I’m writing, both here in Tennessee and in Louisiana and flutters against the pane as if trying to enter my domain. I have, on many occasions, explained the disturbance as Dorothy (even if the bright red plumage denotes a male cardinal) trying to get in, her radiance piercing the mists of particularly gray days. In the Spring, she often comes and hides in the dogwood here at Sewanee, behaving in a modestly quiet way that is rather off-putting, and I salute her with poetry, one of which is included below, from JUST PASSING THROUGH, published by Border Press. she bought for me and loved to read. to pass this on to your daughters. Yesterday’s news carried a sinister headline about Iran firing missiles to “Show Their Might,” and I shuddered at the thought of how militant this ancient Mideastern culture has become since the reign and demise of the Shahanshah. Four years before the advent of the Islamic Revolution, I lived in Iran, and at that time, the only revolution going on must have been occurring underground because we who lived in the oil patch never saw evidences of this revolt. When I ponder the words of General Hossein Salami who said that Iran’s tactics this week “demonstrate our resolve and might against enemies who in recent weeks have threatened Iran with harsh language,” I’m deeply saddened. “No shade of blue exceeds the blue sky over the desert of Iran. During the mornings a cloudless calm stretches overhead inviting you to alter it in some way – to sketch a story upon it, create a cloud, hurl a lightning bolt into its blankness, anything to scratch the implacable calm. The hogbacks of Khuzestan Province jut upward trying to break the calm and the faultless space, but these stunted attempts at mountains are only stalks on the landscape. I looked at the sky again. The paradise of childhood. Here in this province, the land of the Elamites. Persia. And wasn’t it the Persians who gave us the word ‘paradise’ to describe the private hunting ground of the Achaemenid King of Kings? This novel I was writing contained a “West meets East” theme and a great deal of psychological conflict, but it faltered and died because of rejections of the first 50 pages and a proposal for its completion by several publishers. Some days, like yesterday, I consider continuing the work on PARADISE OF CHILDHOOD but in these times of much animosity, who would read it? Yesterday, after walking two miles and returning home drenched with perspiration, I should have been thinking about staying in my air-conditioned home for the rest of the day. However, the intense heat only encouraged my urge to see water again – a river, a lake, some body of water that smelled of fish and weed on whose surface the sun glinted and waves gently undulated. So, we packed a picnic lunch and 40 minutes later, we were at Tim’s Ford State Park, first enjoying the shade in the public park, then exploring the boat ramp area where the sun beamed on a 10,700 acre lake. I didn’t smell fish but I was told they were there – bluegill, bass, catfish, and crappie – and I left my fly rod in Louisiana! We stopped to ask a woman from Iowa about the lakeside cabin rentals as the park has 20 lakeside cabins with two bedrooms and living room opening onto a deck. The cabins sounded idyllic, but they were somewhat pricey. Trails abound in the park – wildflower trails, shoreline trails, over 12 miles of hiking and biking trails. The park even has a golf course, and a cave with genuine crawfish in it (crayfish, they call them)! Tim’s Ford is a lakeside paradise and received the “National Gold Medal Award, Best in the Nation” last year. Somehow, I still yearned to see the waters of Louisiana, but I’ll return in late October when visits to bodies of water should be cooler jaunts. Louisiana is one of the few states with so many bodies of water, and bayous abound, twisting and curving throughout the countryside in Acadiana. Bayous are often bordered by palmetto and sedge, and the mysterious-looking waters are dark and muddy, unlike the clear streams, rivers, and lakes here in Tennessee. Bayou waters originate from other nearby sources, or rain, and move slowly, quietly; they almost stand still. To me, the murky, slow-moving bayous always suggest that we should slow down, enjoy the good life that we are offered. Bayou Teche, Bayou Lafourche, Bayou Sara, Bayou Goula – many of the bayous represent the places where the French and Spanish first settled in Louisiana and have an ambience of rich history. What do I tell you about The Mountain? entered waterways giving me joy and mood. rusty bayous, rising mists forecasting a day. I have gone too far indoors. My Louisiana antenna begins to vibrate about this time of year because July, August, and September are shaky months in my native state – hurricanes of great ferocity blow in, and I yet remember the ravages of Hurricane Katrina, with evacuees pouring into the outreach center of which I was director, Solomon House in New Iberia. They came to us, sans clothing, homes, water, and food. We worked for two months, day and night, 7 a.m. to 7 p.m. to help these evacuees, and the pain of that experience remains with me. However, I’ve been ruminating about writing a book of fiction about the hurricane that occurred on Last Island in 1856. It’s another of those stories that has been in my mind for years, and I have a folder of material waiting for me to assimilate. Last Island, or Isle Dernieres was once an island about 25 miles in length and perhaps one mile in width; however erosion and denudation of foliage by storms and hurricanes have diminished the size of this barrier island. Now it is a sportsman’s paradise. Charter boats take fishermen to the island to fish for speckled trout, redfish, drum, flounder, and tarpon. The island is a long stretch of golden sand – a place of awesome solitude. In the mid-19th century, Last Island was a resort area, dotted with summer cottages and a hotel about which there has been considerable controversy because an architectural rendering, presented in a lithograph, pictured the mythical Trade Wind Hotel as a gigantic resort hotel. It was similar to some of the resort hotels that border the Riviera and was rumored to accommodate many hundreds of people. Actually, the hotel was a two-story frame building with a large dining room and dance hall. At the rear was a bayou where boats from the mainland docked. The beaches at Last Island were said to rival those of Pensacola, Biloxi, and other Gulf Coast beaches. On a hot August day in 1856, a fierce hurricane hit Last Island, and the storm surge carried away vacationers from Iberia, St. Mary, St. Landry, Terrebonne, and Orleans parishes. Several stories report that the vacationers were dancing when a huge tidal surge washed over them, but the truth is that the hotel guests, following dinner on Sunday August 10, 1856, were assembled in a great hall when the roof of the hotel blew off and all the walls collapsed. Trees bent to the earth, and the tide rushed in to swallow the land and 200 people. A few people survived and took refuge on Captain Abraham Smith’s ship, which he had steered into the bay near the island. Although the ship was demolished, he rescued many people by tying a rope around his waist, wading out into the swirling waters, grasping at hands, feet or hair of whatever guests swept by him, placing them in the hold of his demolished ship until help arrived. Today, Last Island has no resorts, homes, or population. Its very barrenness fascinates me, and although Lafcadio Hearn immortalized the happenings of the 1856 hurricane in classic prose, I’m still drawn to write about the island and the day of the Big Wind. scouring the place where care was not. arms in random care, encircling. to change the landscape within? For those readers who have given their support to the Haiti Water Purification Project sponsored by the Sisters of St. Mary, Sewanee, funds have reached the halfway mark, and part of the Duvon Water System has been purchased. Also, the technician who will train Sister Dorothy at the orphanage in Port Au Prince has been engaged. A battery and other supplies will be purchased when the Sisters and technician reach Port Au Prince. If the collected funds exceed the amount needed, the monies will be applied toward a second water purification system, as the need for water purification throughout Haiti is major. The Sisters are ecstatic about the response to this appeal and anticipate making a big difference in the lives of children at the Port Au Prince orphanage. Gracious thanks to all those readers and others who have contributed to this project. On my walk to the post office this morning, I met Rick Summer, one of the supporters of the Sisters’ project who is also on the Water Board Authority here at Sewanee. We exchanged comments about our own lavish use of water. My encounter with Rick reminded me of a poem I wrote last summer entitled “The High Cost of Water,” in which I complained mightily about my water bill here at Sewanee. In the midst of a drought here in TN, we watered our lawn twice a day, used water freely to wash the car, washed clothes daily, and had not replaced the monstrous, aged toilet that seemed to hold 100 gallons of water. In my ironic poem, I paraphrased a conversation in which I groused to my daughter about the high price for the privilege of living on the Sewanee campus and laughed when she told me I should come home as there was no water problem in Louisiana. Remembering the inundations of Katrina, Rita, and Andrew, I countered that I couldn’t believe she said that! This year, we’ve set our own restrictions on use of water in this household and have trimmed our water bill by a percentage of more than half of last year’s cost—the prudent use of water has become a major household goal. The faces of those beautiful Haitian children who die before they reach the age of three because they drink water infested with worms and disease causing bacteria, haunt me. The “high cost of water” about which I complained last summer boomerangs as a cautionary that complaints often come back to humble you in a different way. It is sobering to consider that the high cost of clean water for these not-so-blessed children in Haiti is LIFE. Yesterday, July 4th, we set out for our two-mile trek to the Sewanee Post office and met up with the Sisters of St. Mary who were unloading Sister Mary Martha’s walker from their van near a small crowd of people. They invited us to tag along to watch the Cat and Mutt Pet Show on campus, so I tucked my allergy to animal dander into a back pocket and joined them. The Sisters’ mascots, two Chihuahuas on leash, were especially frisky and, on impulse, Sister Miriam entered them in the Mutt Show. Plucky Sister Mary Martha (does that name cover all bases or what?) put one of the Chihuahuas on the seat of her walker and paraded before the judges with grand moxie, as if she had trained dogs “for show” in one of her other lives. She garnered a 3rd Place Award for “The Best Look Alike,” as Annie has a small patch of white on her face that matches Sister Mary Martha’s white hair. Both dogs came away with Third Places and could have won First Place had their owners dressed them for the occasion. Such are the impulses of good Sisters who rank their dogs equally with humans and treat them accordingly. Annie suffered from something similar to a disease called "the green sickness," which I’ll describe below, and had to be held constantly last summer before she overcame her emotional illness. We followed the Sisters and the leashed dogs to a Cat Show, to an Arts and Crafts Show, to lunch, a carillon concert, and watched the “Sewanee is Green” 4th of July parade, arriving back home at 3 p.m. Such is the nature of a walk to the post office at Sewanee! While standing in the sun, watching the dogs parade around a small circle, I missed Annie’s performance on Sister Mary Martha’s handle bars because I developed a case of “the vapors” as women once called their feeling faint, and began walking away from the crowd, but alert Sister Miriam, who is a nurse by profession, came after me, insisted I sit down on the grass in the midst of the crowd and plunked down beside me. She took my pulse and said flatly, “no heart attack,” then reached into a carry-all and brought out a bottle of water. After I had exhausted her supply of water, I revived and was able to watch her parade around the circle with the other Chihuahua in her arms. Pretty imagery, eh? But disease reached a more earthly hue. Women were constantly assaulted by such ugly conditions as improper nervous excitement (ahem, brought on by ‘tasks too long and too difficult; their ambitions aroused by competitive examinations and their powers overstrained under the plaudits of injudicious friends’). These females suffered from ‘poverty of the blood’ and the evil effects of tight lacing. Headaches, which came on shortly after a meal, could be traced to indigestible articles of food, and copious draughts of warm water or warm chamomile tea were used to induce vomiting which removed ‘offending food and pain together’!! The most colorful disease was a malady known as the ‘green sickness’ (from which Annie may have suffered) which indicated a faulty condition of the nervous system. This sickness moved in, unobserved, upon the system and caused a feeling of languor, a loss of appetite, a dislike for society, and a ‘causeless depression of spirits.’ Women’s complexions lost color, faces became puffed, hearts palpitated, digestions were imperfect, tempers flared, shooting pains tormented body and limbs. And oddly enough, Dr. Taylor offered no cure for this green sickness. Who would dare to publicize the antics of one daughter and neglect to write about the second daughter’s equally dramatic childhood episodes? I received warm responses to the “Jesus Eat All De Cookies” story concerning Daughter #1 and can’t resist telling a few more anecdotes about my second daughter. These stories emerge even after the two daughters have passed into their 40’s, the second stage of their lives. Daughter #2, Elizabeth Alice, was the model for one of the two major characters in my book for young adults, SOPHIE’S SOJOURN IN PERSIA, a fictionalized account of our two-year sojourn in Ahwaz, Iran during the reign of the Shahanshah. She is Suzy, the delightful child who yearned for a cat but was told she couldn’t have another pet and was reminded of her misdemeanors with animals – bathing a gerbil in the toilet, which led to its demise from pneumonia…keeping a white rat in a flimsy cage and laughing when it escaped at night, chewed up the wallpaper in our bedroom, then hid in the drier and was rescued just in the nick…etc. Elizabeth was the comic relief we enjoyed while undergoing cultural shock when we first moved to Iran, making her quaint observations about the culture that somehow lessened the shock of being plunked down in the desert of the Mideast, minus all of our familiar cues; e.g., first and foremost, a language we understood. Elizabeth is the goose girl who ran into the lounge in our Melli Rah home one evening and announced that she had a most unusual radio – one which broadcast in English when she was in America but made Farsi sounds after she brought it into Iran. Her curious nature and unusual observations kept us smiling and encouraged further adaptations to the strange culture. Elizabeth is the daughter who thought that Iranians who walked back and forth, mumbling while they fingered “worry beads,” had to have the beads to “think thoughts,” whereas Americans didn’t need any assistance from a string of beads to think properly. and leaving her nothing except bad memories. for giving us soft colors. By the end of July, I should be singing “Where did all the flowers go?” –this morning, I found a perfect marigold head and the orange face of a zinnia lying in the grass – nipped in the bud, cut off at the neck, shorn of their glory early on. I wish that the assailants would at least devour the remains so I don’t have to view the lovely, beheaded blooms staring up at me, proud discards of some nocturnal animal. The marigolds and zinnias are part of beds blooming along the sidewalk in my backyard, directly across the lawn from a towering hemlock, perhaps 80 ft. high, which I gave the misnomer of “cedar” in an earlier blog. The Eastern Hemlock grows abundantly in various locations around Sewanee, near Tracy City, Monteagle, and Lookout Mountain. What a giant Christmas tree my hemlock is with its dense canopy! It forms a patch of shade that covers one quarter of the backyard. The same deer and bunnies that damage my flower beds browse under this tall hemlock almost daily and have eaten the daylilies and unripe blackberries nestling in its shade. Presently, the hemlock in many southern areas have become infested with a small aphid-like bug, a tiny insect dark reddish brown to purplish black in color called the Hemlock Wooly Adelgid. When this bug matures, it forms a wooly-like wax filament to protect itself and its eggs. These ovisacs can be seen on the underside of hemlock branches in early summer and late fall, but, so far, the giant tree in my yard doesn’t seem to be infected. We’re told not to put bird feeders near the tree, and some people use foliage sprays to keep out the insect, but the best control involves predators. I was hoping these predators would be the deer and bunnies that roam brazenly, day and night, in my backyard, but I understand the predators that destroy adelgids must be imported from China, Japan, and Western North America. If I’m forced to write off for a crate of ?? ?animals, goodness knows what else they’ll find to eat in my struggling flower beds. In any case, the hemlock is a beautiful ornamental and is the vegetation that I point to as the premier plant in my backyard. It can rival our Louisiana oaks in size and bower, but, of course, I prefer those drooping old oaks in New Iberia. I once ended a Gothic novel about New Iberia with the words, “if only these old oaks could talk, they’d tell us some amazing stories, but perhaps they understand Confucius’ saying: ‘Silence is a true thing and never betrays.’” Mais yeah! my grandson, struck down by a tree. and he was hypermagically swift. Communion wafers at St. Mary’s of Sewanee are small portions of freshly-baked bread, and after receiving Communion yesterday, I smiled to myself when an old memory about my daughter #1 and a silver box of round white Communion wafers (to which I’m accustomed) surfaced. I wrote about the incident regarding Communion wafers in a former sermon, and the telling brought forth a sea of mothers’ smiles in the congregation at Epiphany in New Iberia, LA. During the early 60’s I was member of an altar guild in Graham, Texas and one Saturday decided to take Stephanie, daughter #1, with me to prepare the altar for Sunday morning Eucharist. After I prepared the altar, Stephanie skipped over to the table that held the Communion elements and opened the box of wafers. She then turned to me with one of those winsome “want something” smiles and said, “Looka’ all the cookies.” I told her that they represented Jesus, or some similar inane reply, which I’m sure confounded her three-year old mind. However, she nodded as if she understood she wasn’t to eat them, and we finished our Communion preparations. through the splinter of my ways. in impish assumption of reckoning. In contradiction to an earlier blog I wrote about oceans and my memories of the blue Pacific near Big Sur and Carmel, I write now about deserts because summer reminds me of desert vacations taken in July and August that I miss – in the Mohave of southern CA, the Sonoran Desert of AZ, the Chihuahuan Desert of West Texas, and the deserts of southern Mexico. In desert climes, I believe that the soul dries out from any weightiness of spirit imposed by winter. Deserts uplift me – that radiant light beaming on sand stretches, and harsh outcroppings fierce and defiant hanging over the long, arid expanses. I remember traveling by car and suddenly seeing small lakes shimmering in the distance, the hot air making waves on water that doesn’t exist – a mirage, of course, glowing on the face of the dusty highway running through the desert. I love the sea of dull yellow sand, and the lilac-haze hanging above it. The immensity of desert causes a certain exaltation of spirit and feeling of freedom within me. The desert offers not only the wonderful dry heat and cool nights, often with gentle winds, it offers a glimpse of strange plants called xerophytes that withstand drought and salt. On the family odyssey to Diddy Wah Diddy (CA) when I was 11, I began to love the Joshua Tree, the giant Saguaro cacti, strongly scented sage brush, and Sotols with their tall inflorescences. When we lived in southern Iran, the entire landscape was desert, and I thrived in the hot dry climate. I’ve also lived in El Paso, Texas where dust storms were the only deterrents to my appreciation for the arid landscape. Strange, this love of both desert and ocean. If, as Joseph Campbell says, “the rational mind stresses opposites,” there’s room in me for a love of both the silent expanse of desert and its illuminations and the ocean with its inspirations. Some writers believe that the landscape of the soul is within and don’t believe in the power of Place, but I’m not one of those writers – landscapes inspire me to find the Divine within, to search for meaning in the natural world. The power of Place teaches me to be alive. Here’s a poem I wrote while living in the desert of southern Iran, from an unpublished manuscript entitled FARDA, THE NIGHTINGALES WILL SING. fall into the desert sea. listening to songs of sand and desolation. softly spilling into Fall oasis. Farda, reach the other half of this world.